Cartoons uniting visual representation with cultural associations, can cause devastation. 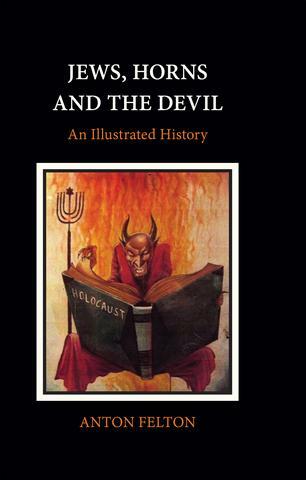 One picture may save a thousand words but we will never know how many hundreds of thousands of lives were not saved, how many millions of lives were not even lived, because of the climate of fear and of hate prompted and promoted by the anti-Semitic pictures of Satanic horned Jews. From the 12th to the 21st century, these cartoons, simplifying and intensifying fears and hatreds, were powerful tools in the spread of anti-Semitism. These images first appeared in medieval Christianity, reappeared in 19th and 20th century Racialism, Fascism and Marxism and today are part of the visual images of contemporary Islam; four absolutely different belief systems with different life cycles all sharing the exact same indelible meme with its exact same visual expression targeting the exact same expiatory victim. For a thousand years, the power of this fabrication has erased existential realities and, with devastating consequences, the fear generated by the image of the demonised Jew has been reflected onto the real Jew. Some of the cartoons in this book may shock our sensibilities, to many they are a vital shared social truth, to others a vile experienced reality.